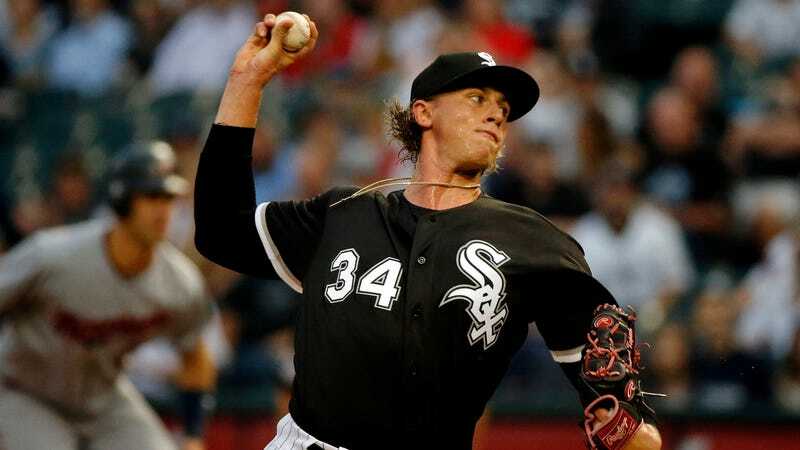 Starting pitcher Michael Kopech, the 22-year-old flamethrower who was a key part of the Chris Sale trade a while back, made his Major League debut for the White Sox tonight. It was a much-anticipated start that brought a lot of intrigued fans out to Comiskey Park, so naturally, it couldn’t last. 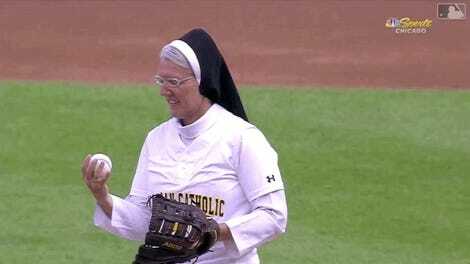 After just two innings of scoreless work, 52 pitches, and four strikeouts, God or whatever controls the weather decided that they had had enough of this gross, unfamiliar White Sox optimism and sent down the starting pitcher’s kryptonite: water falling from the sky. Kopech would not return when the game restarted, and the White Sox replaced him with the boring veteran Luis Avilan, who was booed by fans upon his entrance. And because 2,629 rpm is pretty dang hard to visualize, here are a couple of especially nifty pitches. It was a good run for Michael Kopech, who no doubt has now been ruined forever by this short rain delay.